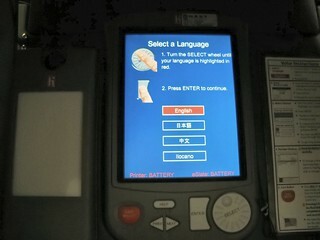 After watching the HBO documentary, Hacking Democracy, I find using the electronic voting machines, usually by the corporation Diebold, very frivolous since they can so easily be tampered with. Entire elections can be manipulated, vote totals, everything. Before I make my vote I demand that I use the paper ballot. What is being done to eliminate these machines from use in the city of Chicago, a city known to be ravaged by dirty politics anyways? My question can include the entire state of Illinois, not just Chicago. This fascinating question led to a deep look into Chicago's voting machine processes. Learn how outsiders are trying to hack our machines to prove a point and what the city is doing about it. And watch a video glimpse into how our voting process is supposed to work. We couldn't get in touch with Ryan McIntyre, our question asker, so hope he gets to see this and is satisfied with what we found!